Takeaway: Top hazards and safety considerations in construction. Construction is a high hazard industry with a wide range of activities like new construction, renovations, and or alterations. BanvilleLaw.com also mentions that a state like New York has been an industrial capital since founding days, and sees a lot of construction activity. The accident fatality rate in this industry stands at more than double the average of all sectors. In short, construction sites can be safety nightmares: conceivable hazards exist almost everywhere in the working environment. Fortunately, the hazards associated with the construction industry are well known, and most responsible employers know that they owe a duty of care to employees, visitors and members of the general public who might be affected by their activities. The employer is tasked with managing the construction site effectively and implementing appropriate accident control measures. Following are various hazards that are present in the construction industry and the safety regulations attached to some of these hazards. Every year falls account for the highest number of deaths in the construction industry. The fall protection fines amounted to over $30 million in 2015 alone from over 6,000 sites in the United States. There are several factors associated with this hazard, including unstable working surfaces, failure or misuse of protection equipment, and human error. Many studies have shown that using fall arrest systems, guardrails, covers, safety nets and restraint systems can effectively prevent injuries and death from falls. About $ 6 million of the total fines issued by Occupational Safety & Health Administration (OSHA) to construction companies in 2015 was mainly attributed to ladder safety. OSHA estimates that there are about 25,000 injuries and as many as 40 fatalities annually due to falls from ladders and stairways used in construction. In fact, most of these injuries required time off the job. Serious injuries can occur to your body when it exposed to hazardous materials and equipment that may cause injuries or illness. As an employer, you must provide your employees with personal protective gear, including clothing and other work gear designed to create a barrier against workplace dangers as specified by OSHA. Approximately 2.5 million construction workers regularly work on scaffolds. 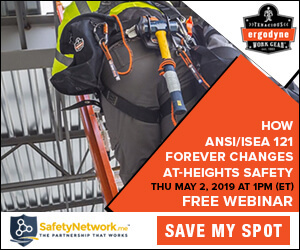 According to OSHA, preventing scaffold accidents would reduce an estimated 5,000 injuries and more than 50 fatalities from occurring every year. Most potential hazards in the construction industry are associated with the use of vehicles and mechanized equipment. Unfortunately, vehicles and mechanized equipment are often involved in accidents that are a result of mechanical failure or human errors, causing injuries to the operators or to bystanders. Failure to recognize and understand the material safety data sheet instructions with chemicals can lead to respiratory problems, chemical burns, explosions, and fire. Although this rarely happens on a construction site, employers must take appropriate precautions to ensure that employees and third parties are safe. Overall, if you identify the most hazardous areas on the construction site, and provide the most appropriate safety regulations, you will definitely improve the safety and health of workers.